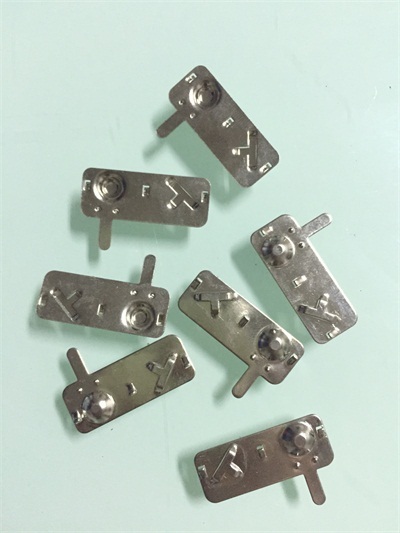 Battery is widely used on toy, electronics, control panel, cooker, clock, redio, etc, metal battery plate(negative pole, positive pole) are all made by progressive die stamping with large productivity and low cost, we make so many types of such battery plate inhouse for years. 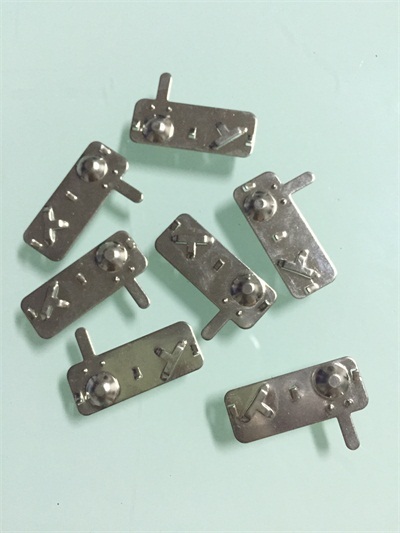 Various types of battery plate has been developed by progressive die stamping in our company with very low production coat and high precision on dimensions, our productivity is 100000pcs-150000pcs daily with burr free, they will be silver, tin, nickel plated per customers' specific request, and the plating are alll ROHs compliant and the salt spray test can stand at least 72 hours with neutral solution, if you do not know how to make your stamping parts, don't worry, we will help decide how to make them economically per parts complexity, size and volume. Surface finish nickel,tin,silver plating with Rohs compliant, salt spray test is at least 72 hours.